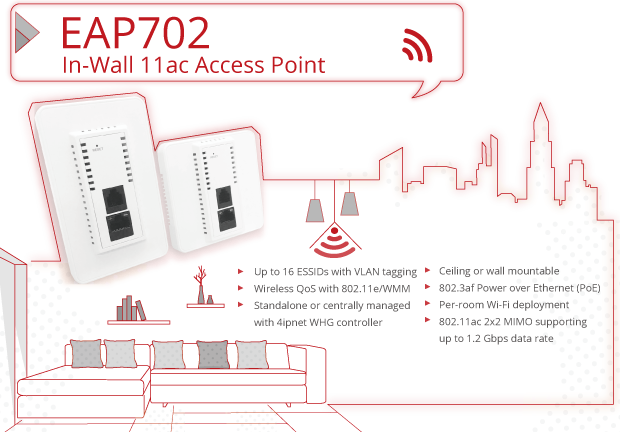 The 4ipnet EAP702 is a concurrent dual-band 802.11ac in-wall access point designed specifically for enhancing your traditional Ethernet/telephone outlets with Wi-Fi capabilities. It provides a Gigabit LAN port for your network devices and a pass-through telephone port for supporting telephone, modems and ADSL connections. 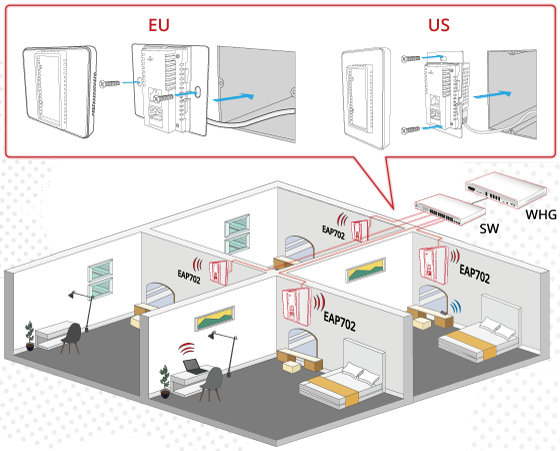 Featuring two 2x2 MIMO radios, the EAP702 can simultaneously support up to 300 and 867 Mbps data rates in the 2.4 and 5 GHz bands respectively. 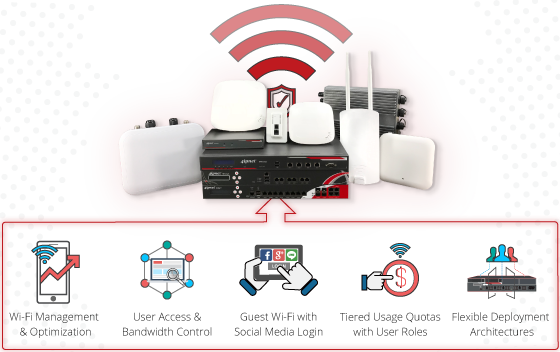 When EAP702 is deployed and centrally managed by a WHG Controller, additional value-added applications such as bandwidth control, user authentication, and captive portals can be used to provide an ideal solution for all types of businesses. Copyright © 2018, 4ipnet Inc., All rights reserved.